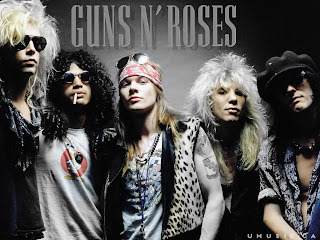 Guns N' Roses (sometimes abbreviated as GN'R or GnR) is an American rock band. The band formed in Hollywood, Los Angeles, California in 1985. The band, led by frontman and co-founder Axl Rose (born William Bruce Rose), has gone through numerous line-up changes and controversies since its formation; the current lineup comprises vocalist Rose, guitarists Ron "Bumblefoot" Thal, DJ Ashba and Richard Fortus, bassist Tommy Stinson, drummer Frank Ferrer and keyboardists Dizzy Reed and Chris Pitman. 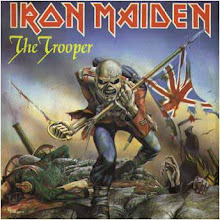 The band has released six studio albums, three EPs and one live album during its career. The band has sold more than 100 million albums worldwide, including over 46 million in the United States. The band's 1987 major label debut album Appetite for Destruction has sold in excess of 28 million copies worldwide and reached number one on the United States Billboard 200. In addition, the album charted three Top 10 hits on the Billboard Hot 100, including "Sweet Child o' Mine" which reached number one. The 1991 albums Use Your Illusion I and Use Your Illusion II debuted on the two highest spots on the Billboard 200 and have sold a combined 14 million copies in the United States alone and 35 million worldwide. After over a decade of work, the band released their follow-up album, Chinese Democracy, in 2008.